We are just ted days away from the official release of the Last Shadow Puppets' new album. 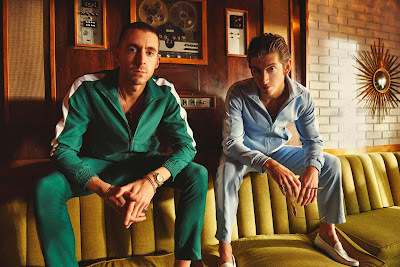 The Album will be entitled 'Everything You've Come to Expect' and it will be their second album and the follow up to their Mercury nominated debut from 2008, 'The Age of Understatement'. As for now we are pretty much impressed from what we have seen and heard in the promotional videos for the singles "Everything You've Come to Expect" and "Aviation" and "Bad Habit". It seems that the guys have adopted new indie sounds leaving their 60's image outfit behind. We look forward to the new album which will be out on Domino Records.